And just like that, it’s the day after Christmas! I can’t believe it has come and gone, but I’m excited to have a laid back week ahead of us! I hope you guys all had an amazing Christmas. I want to hear all about it, and tell you all about what the Gerard family has been up to the last few days, but first, I need to tell you all about this incredible pasta dish. So much to share!! This Million Dollar Spaghetti, is one of my favorite meals to make when feeding a lot of people. Especially when a lot of those people are hungry brothers and friends. For everyone who loves, cheesy, meaty, pasta, this is your dish. It’s SO easy to prepare, full of spaghetti, spicy Italian sausage and cheese. Better known as a major winner food combo! I actually served this dish up last week, but I am posting it today in hopes that it will be a great easy dinner for you guys to make for your family and friends this week. We had a great week, but sadly some of my family members are headed out today (Abby is headed all the way to India!). But with some leaving, more will be coming, so large amounts of food will still be in high demand. To quickly recap the last few days around here, we started the Christmas fun a little early on Thursday and did a family snowmobile trip up on Vail Pass over to the little town of Red Cliff. It was pretty spur of the moment, but I am so glad that we ALL got to go. Every single immediate Gerard family member was in tow (meaning all nine of us including mom and dad) plus my two cousins, Maggie and Abby, Brendan and Malachi’s girlfriends, Lyndsie and Caitlin, and Kai’s friend Kyle who, one made the trip happen thanks to his four snowmobiles, and two, is basically just another family member at this point. So a grand total of fourteen people…on five snowmobiles. Don’t even ask how we made that happen (think snowboarders literally in tow), but we did… and it was awesome! Friday was pretty mellow, Christmas Eve had a few last minute shopping trips in the morning with gingerbread house making in the afternoon. Christmas Day was spent opening gifts, lounging around, a family hike, making a few Bloody Marys and of course, cooking! Nothing fancy, but pretty perfect in my mind. So how was everyone else’s Christmas? Now that my cousins have left, the next group is headed our way, which should be interesting, as some of them have never seen snow before. Bren’s girlfriend Lyndsie has her entire family coming in tomorrow and staying through New Years until the third, so my parents are going to have a very full house. I have no idea what I am cooking up this week, still trying to recover from the weekend of mad cooking and cocktail making, but I’m sure there will be lots. Since Lyn’s family has yet to try this pasta dish, odds are that I will be making it sometime this week. The one major way this dish varies from lasagna however, is that the spaghetti on the bottom of this dish is treated like spaghetti carbonara. Before you bake it, you toss it with eggs to create a rich and creamy sauce. 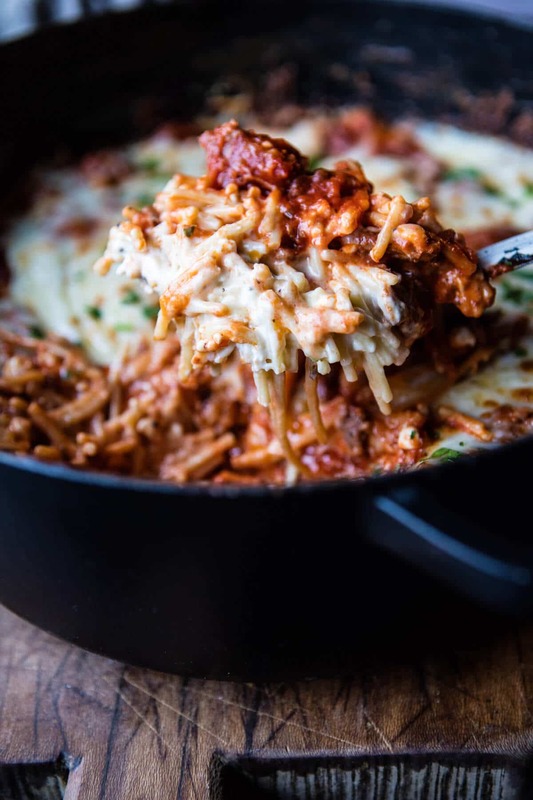 It’s fantastic and sets the dish apart from just another spaghetti casserole. 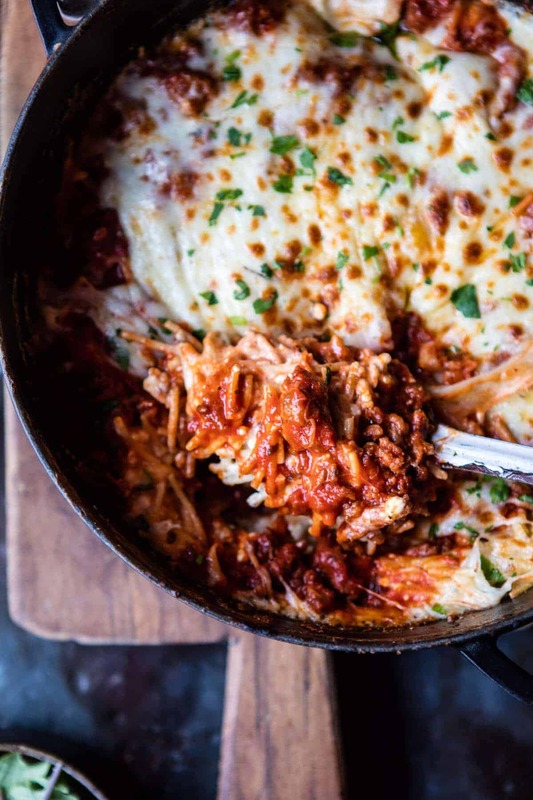 Trust me, this is not your grandma’s spaghetti bake! This Million Dollar Spaghetti, is one of my favorite meals to make when feeding a lot of people. Heat the oven to 350 degrees F. Lightly grease a 9x13-inch baking dish. Bring a large pot of salted water to a boil over high heat and boil the pasta until al dente according to package directions. Meanwhile, in a medium bowl, whisk the eggs, parsley and Parmesan. Drain the spaghetti, and add it right back to the hot pot. Add the butter and the egg mixture to the spaghetti, and quickly toss until evenly coated and the eggs have formed a sauce. Add the cottage cheese and cream cheese and toss until combined. Transfer the mixture to the baking dish. Heat a large skillet over medium heat. Add the sausage and brown all over, about 5 to 8 minutes. Remove from the heat, and stir in the marinara sauce. Spread mixture over the spaghetti. Add the mozzarella cheese in an even layer over top. Transfer the baking dish to the oven and bake 30 to 45 minutes or until the cheese has melted and is lightly browned on top. Cool 5 minutes before serving. Serve with parmesan and basil, if desired. Everyone’s gonna eat it all up. sounds family-filled but fun and hopefully a good break from all your cookbook and etc craziness! and spaghetti with four cheeses? sounds perfect for post-christmas happiness. Yes it was! I totally thought so as well, thanks Heather! Wow this looks and sounds delicious! So creative and such a good idea! Thanks so much, Rhian! Hope you and your family had a Merry Christmas! Enough with the torture already!! I’m drooling!! And hungry!! Haha! Thanks Ruth! I hope you get to make this!! I would gladly substitute the pasta for my breakfast right now. It looks simply delicious!! Sounds like you had a wonderful Christmas. We hate to see it end. This is really a winner recipe for a hungry crowd of people. ANYTHING with cheese is always good. I would love to see pictures of your backyard with the snow:). SO happy everyone liked it Carlos! Maybe I will get one on the blog here soon. Thanks! I swear, you must be the best cook in the world! I love looking at all the gorgeous pictures of your recipe dishes; and all of the ones I’ve made have been astoundingly good! Please, don’t ever go away! 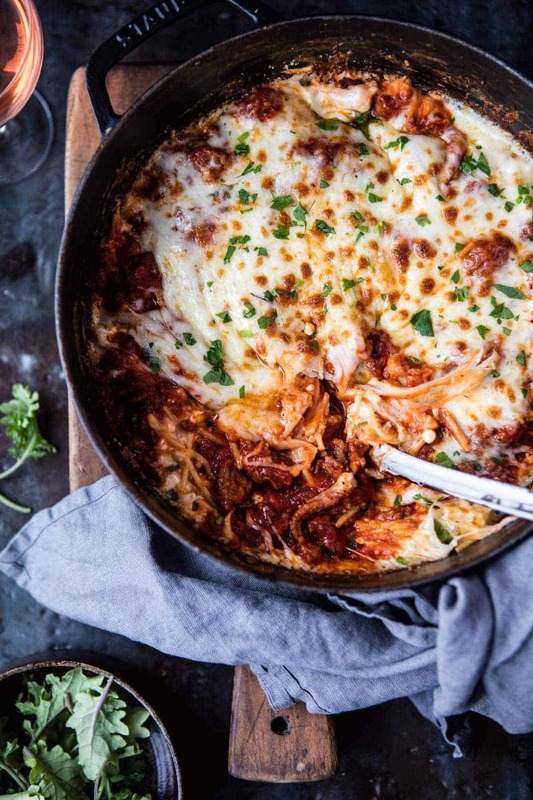 By the way, I’ve been looking for a good baked spaghetti recipe, and this looks superb! I do believe this will be my next endeavor. Thanks! Your too nice Joan! Thank you so much! This looks fabulous and I am going to give it a go for New Year’s. I don’t usually like to comment on a recipe until I have actually made it, but wanted to comment on your story above. My daughter’s name is Lyndsie also. I don’t usually see it spelled that way. When I named her, i made up the spelling because my middle name, Lyn. I am finding a few more Lyndsie’s out there now. Happy New Year! Can’t wait to try your recipe! Oh wow! Thats so cool! Its an awesome way to spell it! Hope you enjoy the Spaghetti! Happy new year! So happy you like it Elinor! Thank you! What a lovely Christmas you had! One of our favorite family things to do is have a game night. Lots of silly fun playing board games. This Million Dollar Spaghetti would be great for such an occasion. By the way did you break up the spaghetti stands before boiling them? Hey Carmen! I love playing games with my family, it’s so much fun! I did not break the spaghetti, but it broke up as I tossed it. Let me know if you have questions. Thank you and I hope you and your family had a Merry Christmas! I love your recipes and beautiful photos! Christmas in South Texas was a balmy, humid 80°! Yuck! Being Latina, we celebrate with tamales, Spanish rice and charro beans. Lots of netflix, lounging and a late night burger run made for a great day ?. I’ll be making this recipe to share with family for sure!!! Happy New Year! Oh man! Thats so warm! Glad your still enjoying the holidays though! Thanks so much and happy new year! So happy you like it!! Thanks so much! What size jar of sauce did you use? So sorry, a 28 ounce size jar, about 3 cups. Hope you love this and hope you and your family had a Merry Christmas! You know, I have had so many spaghetti during my younger days at home. It was a weekly recurrence. Now I’m so fed up on it that every time I see a spa recipe I just scroll down. But something in yours made me stop, and actually open this recipe. It looks good, it looks different. It looks like something that could make me love again spaghetti. Wow, so awesome that you stopped for my spaghetti! I seriously hope you love it, thanks a ton Erika! This sounds amazing, Tieghan! I’m so glad you had a great Christmas with your family and I love hearing about it! Thanks for this recipe and it’s definitely something I want to try! Thanks Tori, it was a blast! Hope you love the spaghetti of course! Happy holidays!! Was craving some cheesy, warm pasta today, came onto your blog and it’s the first recipe I see ! Kismet ?? Making this today! We’re just going to chill and decompress after a busy holiday, and this is absolutely perfect. Awesome!! SO glad the recipe was perfect for you today!! Hope you love it and hope you and your family had a Merry Christmas! Cottage cheese and jar marinara , million dollar….. doubt it. Might try riotta and a little home made saucd…. maybe. Sounds great! As you can see, I have linked to my homemade marinara sauce. Hope you had a Merry Christmas. We can’t really get behind any homemade sauce for this, pound for pound. There is a reason Italians hate it when non-Italians try to cook this stuff. You have ingredient fails. 1. Marscapone, not cream cheese. Not a big deal but still. 3. Jar of sauce. No, No, No, NOOOOO. Make your own or go to McDonalds. You have design fails. 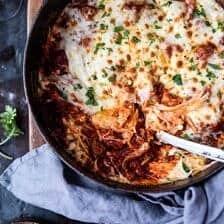 You admit that this is a rip on lasagna but fail to see that any casserole style dish needs a short noodle or sheet noodle. Spaghetti is meant to compliment lighter flavors like EVOO and some parm. The noodle will struggle to stand up to a pound of cheese and sausage flavors. It is also never to be broken. You have technique fails. This spaghetti is mush (offensive to italians) by the time you pull it. Use a very hearty rigatoni cook it halfway and then bake it. Drain the sasuage as well since the grease can ruin the delicate cheese flavors. Sorry to be so harsh but it is just so easy to do it the right way. Your blog is very well run and you take fantastic photos. No where in this post did I try to claim this as traditional Italian food. I just made something for my family that they loved and shared here on MY blog. We love this recipe and really don’t care that it’s not traditional. This is a food blog and I share recipes that I have created, not recipes that have already been created. Also, as you can see I gave the option to use store bought or homemade marinara sauce. I live by the rule that my mom always taught me, if you don’t have anything nice to say, don’t say it at all. Hope up you had a Merry Christmas. Sorry if you had an Unhappy Christmas, why should you blast someone for their own preferences. Taste is subjective, I didn’t notice you being criticized for how sad your grilled cheese sandwich was or that you only cut the crust off of one side of your PBJ!! 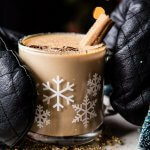 Lighten up and enjoy this recipe, I am sure others would be happy to judge any of your “Family Creations” in a heartbeat. As for me, I am getting the ingredients together tomorrow to try this, and I may tweak this a little and use Ricotta instead if that is okay with you???? If you have no other need for us, then please post one of your favorite recipes and get it hacked apart by those whom should know better! I hope you have a splendid New Year’s and maybe I should work on a resolution or three?? Good advice scott. Yes, I am going to bite my tongue and instead say, this is the BEST MillionDollarSpaghetti I have EVER tasted! Everyone puts their own spin on Italian, Mexican, Chinese etc… Tieghan puts the best spin on everything on her site. Just love her cooking and her photograghs. I’ve been thinking about noodles because it’s supposed to be good luck to eat them for New Years’. I can’t decide between Italian or Thai…. Seriously, your family is so lucky to have you!! Your positivity is delightful and your photos are fantastic. So lasagna with spaghetti? Sounds fun. Good morning T. Looking good. I should have read this before i went to the city.. Of course now not all the ingredients in the Fridge. Drove to town in -7 deg weather and made it back before the next big snow fall..hit..
Oh well we shall eat it in early days of 2017. I would think Zita might be good also.. Thank you for the past year of Yummy, intriguing recipes,. Your page is about the first web page i visit every morning..( except yesterday..) as i headed to the cities at 7 AM. Thank you again.. Have a great Tuesday. Hey Leslie! Thank you so much, I am so glad you have been enjoying my recipes! Also, I am really glad you made it back home before the snow!! Have a great day and an awesome New Year!! It looks as though I may be the first to actually cook this. You are so talented!!! My local butcher didn’t have his usual hand-made picante sausage, so I used a brand-name normal sausage. While still excellent, the extra flavor was missing. Next time, we’ll enjoy it even more. Btw, I cut the recipe in half and it was plenty for three people. P.S. Thanks for the cream cheese instead of mascarpone! Less fat. Didn’t feel stuffed. P.S.S. Fabio is Italian? And misspelled mascarpone? I am so glad this turned out great and you enjoyed it David! Thank you! This is like all I ever wanted as a child. I love how you toss eggs with the pasta before you bake it. So rich. Hey, what’s your favorite store bought pasta sauce? I am so over cooking at the moment. At least until New Years. And then it’s bacon wrapped scallops and ricotta stuffed crepes. Hey Stacy! I like DeLallo brand Marinara sauce, it is great! Thank you! Cottage cheese? No, no no! Always ricotta cheese. This was everything I wanted on a cold December day – easy, delicious, comfort food. So good! TX. Yes! Perfect comfort food for a cold day! I hope you love this Kaylee! Good lord Tieghan, this looks like the greatest spaghetti ever! Awh Matt, thank you so much! So happy you like it! This is so perfect for a cold evening, and our boys would love it I’m sure! Thank you! I hope you guys love it! 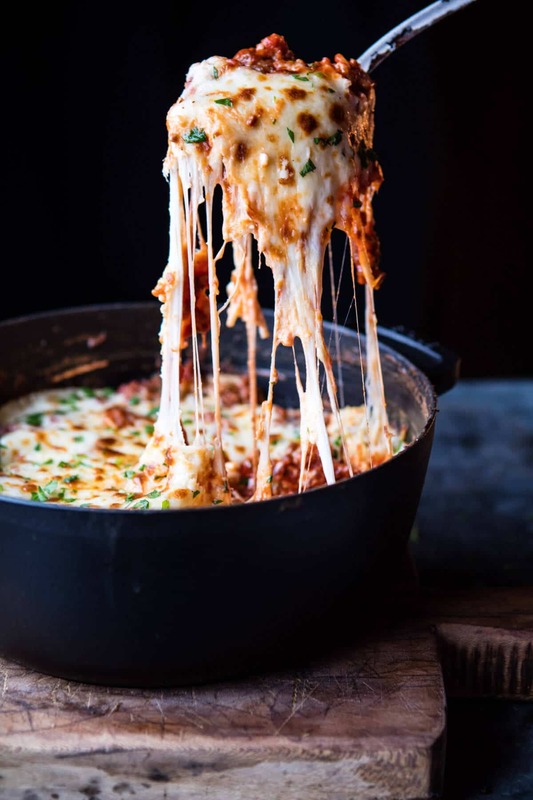 Ohhh wow, that stringy cheese is enough to make anyone drool. Looks fantastic! Thank you so much! SO happy you like them! Wow Tieghan! This one looks crazy good! 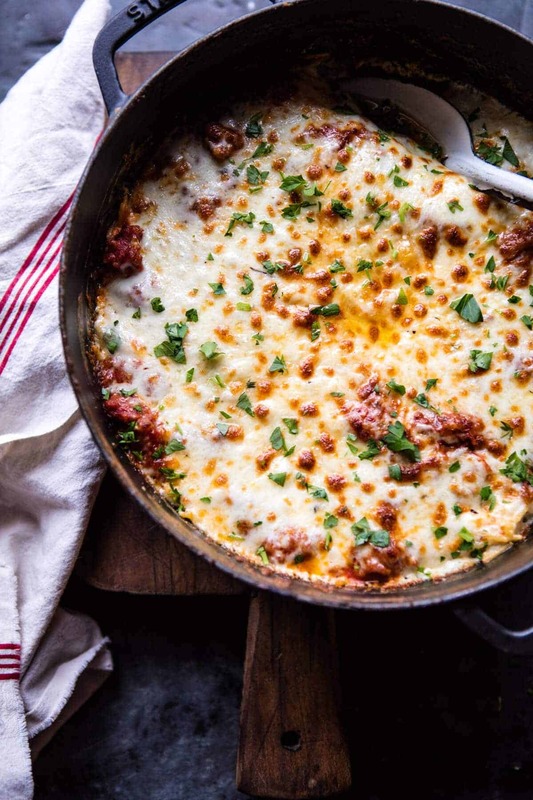 Absolutely the perfect comfort food dish for a cold night! Thats exactly when I made this! So happy you like this Mary Ann! I’ve been reading your blog and its recipes with drool running down my chin all year. Thank you for your wonderful creations and warm homey writings. I don’t always cook’em but they are always inspiring. So happy to hear from you Michael! Thanks so much! So happy you like everything! Hope you have a great new year! I mean. I literally have no words, because I’m too busy drooling over all that cheesy pasta!!! Ah yes!! Thanks so much Jennifer!! How delicious, I’ll try. Thanks. Awesome! I hope you love this recipe Danielle! Thanks!! Making my grocery list now. This looks amazing. Wish we could have it on the table tonight. Thanks so much Emily! Hope you have an amazing New Year! I made this last night and it was wonderful! Thank you for sharing! So happy you liked it Jessica! Thank you! 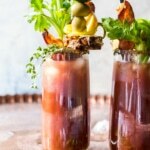 Great recipes to try in 2017. Thanks for sharing. I love pasta. Thanks Shevy! Hope you love love them! Totally in love with all of this! 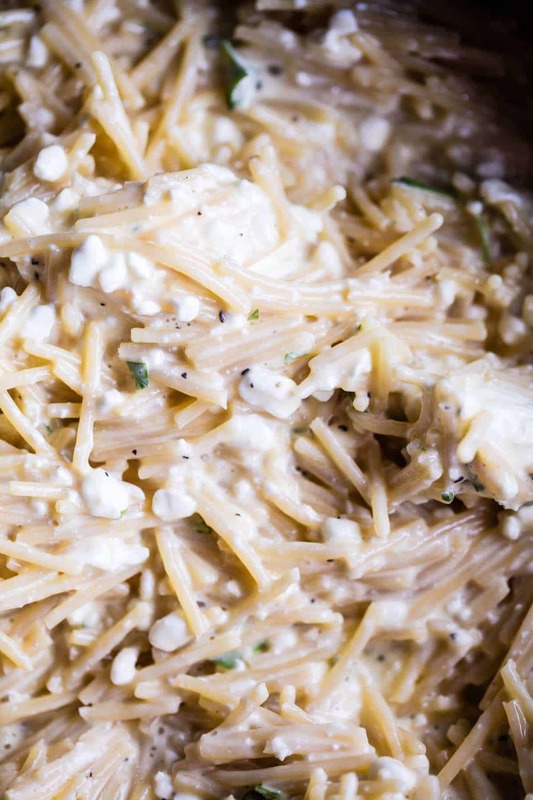 Cheese and noodles and more cheese… how could you go wrong!? Gotta try this soon! Yes! So happy you like them!! Happy new year Karly! I made this tonight. It was good, but not quite what I was expecting from the photos. Reviewing the post again, and reading through the comments, I have a couple of clarification questions. 1. You call for a pound of regular spaghetti, but it looks like you used broken noodles (or broke the noodles) when you made it. I found tossing the ingredients with the full length noodles was a little difficult. 2. Mine came out a little dry for the noodles. The recipe calls for 2 cups of sauce, but you made a comment about having used 3 cups instead. I’d like to know which is correct because I think more sauce would help to combat the slight dryness of the dish. Other than that, we really enjoyed the flavors. Wow… These photos are just drool worthy! Pregnancy hormones are telling me I need these carbs and cheese in my life asap – thanks for the foodie inspo!! Thank you, I am so glad you are loving my recipes and photos Becky! I hope everything is going awesome with the baby!! That is so exciting! Looks like a good meal…but how come so many “home Cooks” can’t describe a dish they made proper? Million dollar spaghetti, come on…seriously, you don’t have the words to describe it accurately. Do you have to add the eggs? Is there a substitute? I really want to try this recipe but I have a child with an egg allergy. Hi Emily! I think omitting the eggs should be just fine. If the pasta seems a little dry, add a splash of water or olive oil. Let me know if you have questions. Hope you love this! I know it’s supposed to be a detox week, but this spaghetti looks too good to miss… Monday = all the pasta cravings! I completely agree. You cannot miss out on the spaghetti! Thank you Laura! I made this for New Year’s day! We had some friends over and they loved it as much as we did. My spaghetti went sort of dry, do you think I just overcooked it? I will be making this again. Thank you!! Hey Kelly! It’s possible you over cooked the spaghetti, but it’s shouldn’t have been dry. Did you use 2 or 3 cups of sauce? So glad you loved this. Happy New Year! Kelly, I make more than enough sauce since I like mine a little bit saucier and juicy. So, I mean, I make extra. This sounds delish! I’m going to squirrel this recipe away for a nasty, cold, January or February night. This dish sounds awesome for a cold night! Thank you Pat, I hope you love it! Can I substitute ground beef for the Italian sausage? What seasonings should I put in it? This looks so mouthwatering! Who cares if it’s not “traditional” spaghetti? Food is for deliciousness (like this) not for rules (though some rules make it more delicious). I’m referring to Fabio, the comment above . Your meals always taste great and the pictures are incredible. Thank you for recipes like this! Hey Kayla!! Yes, you can use ground beef, that will be great. I would add some crushed red peppers, basil and maybe fennel seeds, but you don’t need to add anything if you’d rather not. The ground beef will be just fine. Let me know if you have questions. Hope you love this! This looks delicious, but I have a quick question. The recipe mentions a 9×13 pan, but the pictures show a rounded baking dish. I think I’d prefer a deeper more narrow baking dish vs the 9×13 like you’ve done, but did you have to adjust the baking times, or was it as listed above? I know I am late…but I finally made this over the weekend and it was delightful! Thanks so much for sharing! So happy you liked it Angela! Thank you! Absolutely excellent. I will definitely make again. Easy for week day night meal. Next time I would add extra sauce, other than that perfect. I am so glad you loved this! Thank you Roxanne! Tiegan, I literally just came back to say tonight is the third time I’ve made this since you posted it ! And it gets better every time. I use penne, because I’m gluten free and I feel like the GF penne holds up better than GF spaghetti. I also sub ricotta for the cottage cheese because I always have ricotta chillin in my fridge (hellooo ricotta breakfast toast). Can’t wait for your cookbook ! Awe, thank you! 🙂 So happy you enjoy this recipe!! You are so kind! This recipe is in my must do list. My mouth is getting watering awhile I see your beautiful photos. Yay!! SO happy you like it! I made this spaghetti last night and it was delicious! I’m excited to eat the leftovers! I used store bought sauce because honestly you can buy really good sauce these days. And for a busy weeknight meal using the jar sauce makes it a lot easier. I used about a jar and a half. My only change was using ricotta instead of the cottage cheese because that is what I happened to have in the fridge. I will definitely make this again! Hi!! SO happy you liked it, thanks Casey! is it 1oz. cream cheese or 1 80z. cream cheese? so sorry! It’s 1 (8 ounce) package. T. Every time I took a bite of the first MDS (on to the second batch right now), I would groan and say yuuuum! My sister, and probably a lot of others have made baked spaghetti, but you have taken it to a whole new level. This is going to be my Christmas Eve meal from now on. Just honing my skill at it now, it might take a few more times before Christmas Eve to get it just right. Heh heh. I prob won’t make it exactly the same every time. This time I am going to make the meat sauce per instructions and then encase mozz-bits with seasoned hamburger to make big balls to go on top of spaghetti, then sprinkle with cheese, bake as directed. Don’t know how it will taste yet. Such a bummer to hear they weren’t what you were hoping! next time! YAY! SO happy you like it! thank you so so much! Made the Christmas eve meal! So awesome! Tieghan, I made this last night and it was really good! We loved it! Mine turned out a tish dry so next time I’ll add some cream or pasta water or a combo of both! Thank you for sharing! Hi Jessica! So happy you liked it, hope that helps next time (: Thank you! I just ate dinner and after reading this I’m hungry again. Haha, hope you get to have this one soon! It’s July & we’ve got the AC going. I need some comfort food so I’m making this for dinner. Yes comfort food for the win! I would love love love to make this but my husband and kids don’t like cottage cheese or ricotta cheese. Is there anything I can substitute for it or can I just leave it out? Thank you so much this looks amazing!!!! Hi Lindsay! Try leaving it out and maybe doubling up on the mozzarella. I think that would be great. Let me know if you have questions. Hope this recipe is a hit! Have you ever tried subbing in ricotta in place of the cottage cheese? 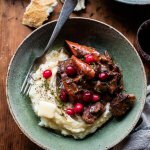 I love cooking and nothing makes me more giddy than finding a new food blog. I just added this to next weeks menu and will be back soon to try more recipes. Haha I swear it is! Let me know how it turns out for you Beth! Thank you! So I tried this recipe and I’m not sure why, but it didn’t turn out very well. Since the recipe called for spaghetti and canned sauce, I just substituted 4 cans of Chef Boy R-D beef-a-roni and added a pound of Velveeta cheese in place of the motzarela. I didn’t have any fresh eggs but I did have 2 servings of caramel flan in the fridge so I added that to the Chef-Boy-R-D and baked the dish for 45 minutes. It didn’t taste like a million bucks. Maybe I need to add the parsley next time. HI Fred, I don’t recommend using Chef Boy R-D or Velveeta. I would follow the recipe if possible. Please let me know if you have other questions. Thanks! I made this for my cousin’s graduation party, EVERYONE loved it. My uncle asked for leftovers, my mom and aunt asked for the recipe. My cousins are STILL talking about this dish one year later. I’m about to print it again because I’m having them over for a game night. Great crowd pleaser! I am so glad you loved this Ana! Thank you so much! 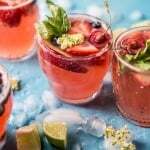 I’ve just discovered your site and am having the most amazing time trying out your recipes. I made the MDS just as the recipe says and it was amazing! Thank you! !I’ve since made another and frozen it. Can I cook it straight from frozen? If so, how long would I cook it for?